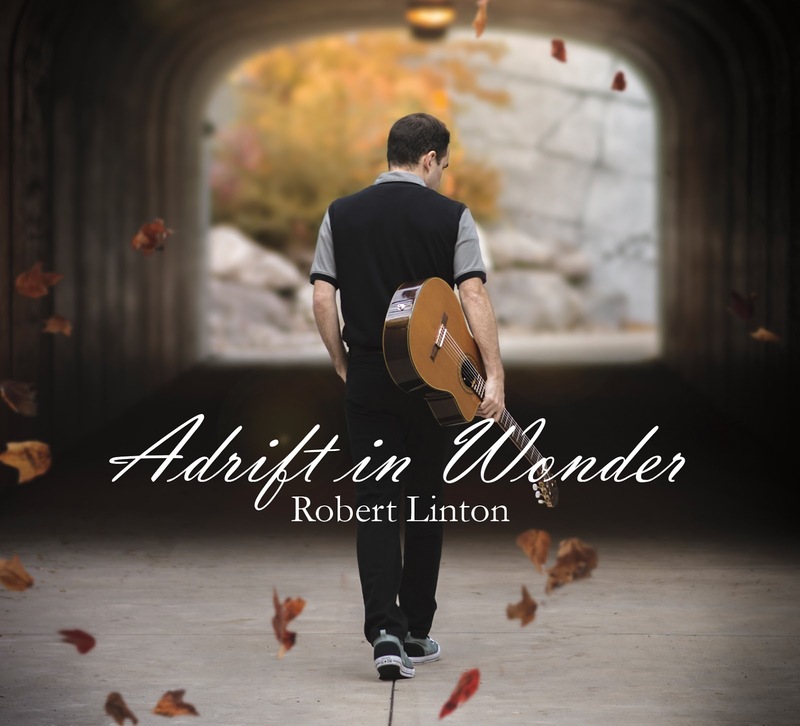 Atmospheric and ambient music can be used as a tool for any type of focus or mindset. 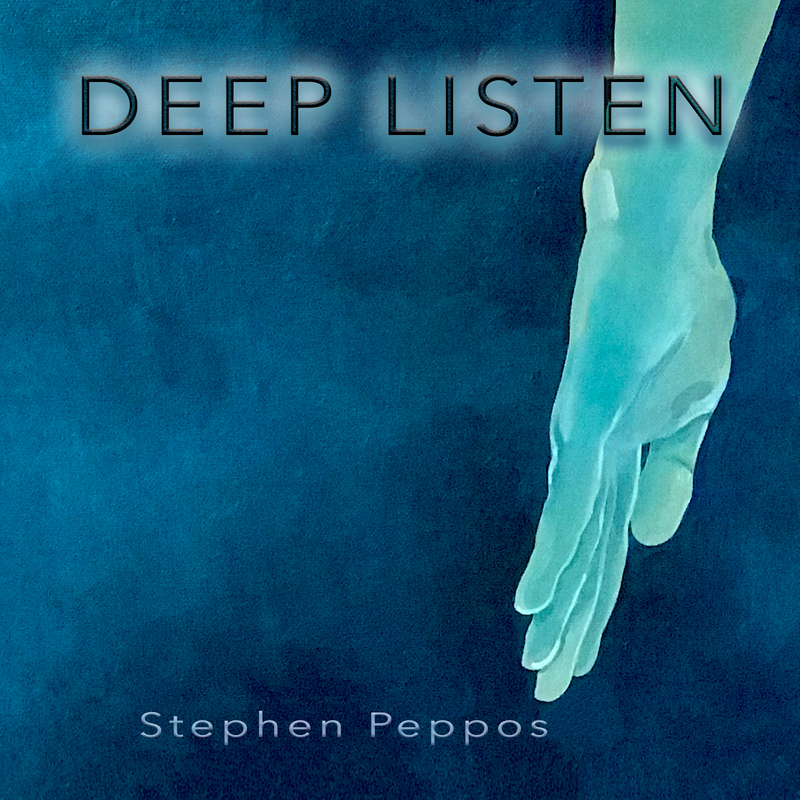 It takes a talented artist like Stephen Peppos to create music that allows that process to happen. I got a good taste of his capabilities two years ago on Leaving Terra Firma. With a title like that it would certainly indicate that the music allows you to leave the earth, you stand on. The music backs that thought with conviction. The track is a solid 9:07 minutes of music meets natures blissfulness. The sound of waves alone is a wonderful thing however if you add the right sounds with your music, a beautiful marriage is consummated and you the listener are the recipient. It is like a blossoming flower feeling the first rays of the new day sun. I really like the title of the CD because what you take is a “deep dive” right into a Deep Listen. The cover is very inviting and the colors are immediately soothing to the eye. It unconsciously connects with your mind to set you up for the musical journey. 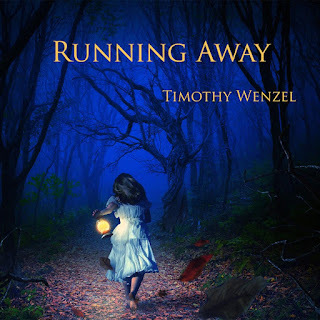 Fans of Tangerine Dream, Kraftwerk, and Jean Michel Jarre will love this album. I personally enjoy all of that music so it was easy for me to get swept away by this recording and find a meaning that made sense and felt just right. The masterwork is “Algorithm” which runs for 12:56. By definition, an “Algorithm” is a process or set of rules to be followed in calculations or other problem-solving operations, especially by a computer. Our brain functions like a computer when necessary so why can’t this music be something to process and calculate? In a sense that is what I am expressing with my words. And it just made me think in those terms by saying the word. Right away the title implies something scientific and hi-tech. Is it thinking man’s music? I guess it depends on who you are what your interest is and what exactly challenges your mind. I do not feel challenged listening to this track in particular, it has the same purpose and effect on me like all the others. I think something needs to be said for taking a track and spreading out the composition with some diversity in sounds and textures. This is the mark of a true artisan, a craftsman of his trade. 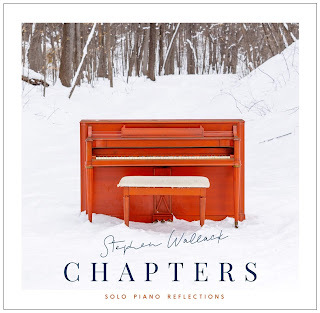 Stephen is able to make this a real masterpiece of ambient nuances that weave together and make it whole. In the end, Deep Listen lives up to its name and gives the listener 1 hour and 18 minutes of musical chicken soup for the soul. It is one recipe that you will be reaching for more than once to chill and let the day just melt away. 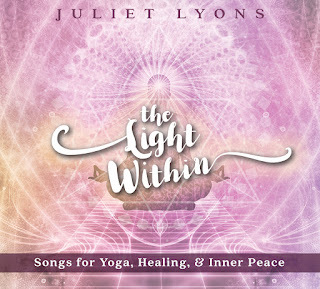 The songs come as advertised on the album cover songs for Yoga, Healing and Inner Peace. Juliet wrote all the songs and performed on the Native Flute and Piano. 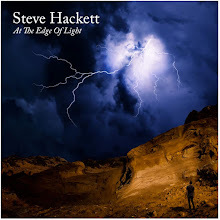 Ricky Kej contributed keyboards and programming on the opening track “Lokah Samastah” and Ron Korb made a guest appearance on the recording as well, playing flute on “Eternal Now.” Both of those tracks are excellent. The opening track is fantastic, full of positive energy and light. It serves as the perfect introduction to a very consistent listen. “Eternal Now” is also exceptional, I found it inspiring and uplifting. Juliet has a very flexible vocal style that could probably fit into any genre actually. 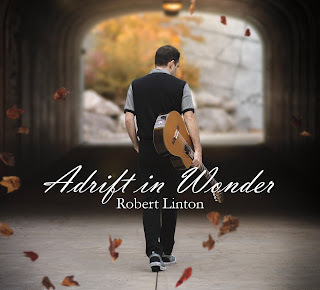 The music is quite amazing throughout the run of this album, in fact it serves as the perfect complement to that gifted voice from the heavens that you will learn to love very quickly. You just can’t have one without the other, its kismet, a marriage of sound and voice that will give you happiness deep within your soul. 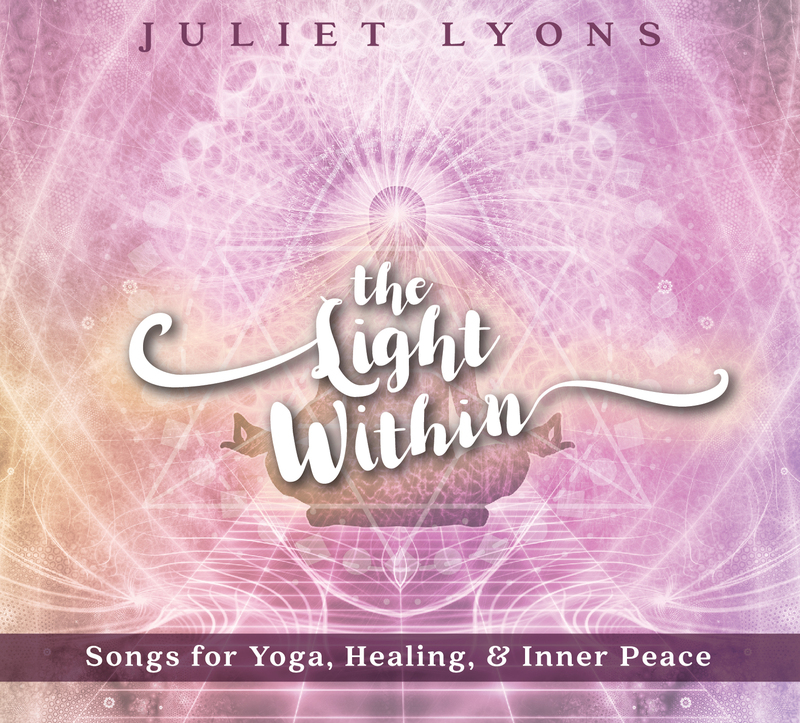 Let The Light Within shine brightly with a little help from the recordings of Juliet Lyons. I found it a natural course of events listening to this music and all the wonderful feelings and peace I felt. Music is a powerful tool, and it’s refreshing to see it being used in such a positive manner. The tools and gifts of god were put in good hands when Juliet Lyons found her path. Once you hear this music you will be thankful as well. I heard The Sad Waltz in 2017 and was very impressed with the talents and musical output of Christopher James. Two years on and my anticipation is mounting to hear the next offering titled Grace From Persistence. From my perspective, it always helps to know the meaning and messages in the music. It makes my listening experience richer and fuller. Christopher took the title track and gave it some thought. The Native Americans’ belief about the Saguaro cactus came to mind. That album title is a perspective that each of these sacred Saguaros is considered to be a unique individual, surviving on its own despite nature’s extremes. This relates directly to mankind and how resilient we can be as well. It also makes you think about living things like trees and how important they are to our survival. Christopher set out to continue his explorations into the more complex compositions and that is what he accomplishes on Grace From Persistence. I had to call it contemporary instrumental because of the diverse instruments that accompany the piano of the main artist. I got lost in this music so much that before I realized it, track 7 was playing and it was getting near the end of this musical excursion. 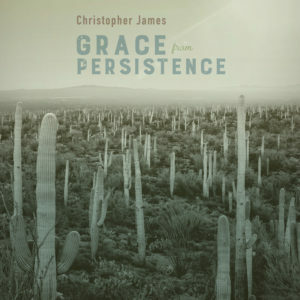 Christopher definitely achieves his own Grace From Persistence by continuing down the path of musical intricacies. Music like this you simply cannot pigeonhole. If the entire album was like “Cul-De-Sac” for instance, then you could classify it as jazz. Which by the way is a big step away from the previous tracks, and it is that kind of change done so well that makes this recording a special and an important contribution in 2019. I am consistently in awe of musicians that can take one main instrument, like the piano, and build these incredible musical stories. As I always say, music without words presents more of a challenge to convey a mood, atmosphere, ambiance, or message if you will. When I feel the impact of the music strongly like I did with Grace From Persistence it sets the bar higher for the next artist that is attempting to accomplish the same thing with their music. All of these thoughts point in a positive direction because we need each other for inspiration and to set goals. Your interpretation of this music will be based on your own life situation and overall feelings and thoughts the moment you listen. I think it’s important to keep one thing in mind, and that is to listen to this music at different points in the day to see what it can do for you. It’s a wonderful listening experience that heals and brings joy. The musicianship is beyond reproach and every track will get and keep your attention. Colors was my introduction to John Otott in 2014. So, 4 plus years have flown by since I had the pleasure of hearing the rhythm of this man’s soul via the ivory keys. Now we have Unspoken. Sometimes words are not necessary and, in this case, it definitely applies to the music of John Otott. Unspoken is a collection of nine tracks that were recorded at Will Ackerman’s Imaginary Road Studios. You know if that happens you get an all-star cast contributing to your album. The piano is the core instrument that drives the music and all the other instruments add a certain tasteful ambiance. The violin can be a prolific piece when added to the piano. “Meraki” is a great example of that marriage and how wonderful it can be. It is quite simply, sublime. 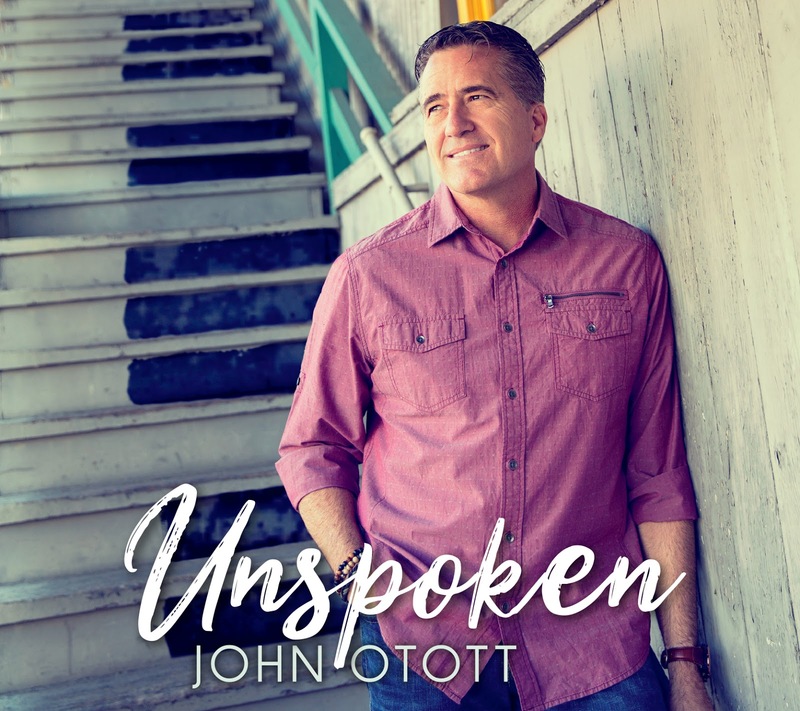 My favorite track is “Unbreakable.” The mixture of John’s piano, the violin, fluegelhorn, trumpet, bass, and percussion simmers then an overflow with magic and pure musical emotion engages you further. Who needs vocals when instrumental music can be so prolific and moving? Not an artist as talented as John and his accompaniment that is for certain. For my ears, the mark of a great recording is how fast it goes by while I am enjoying every second. In the end, I am disappointed that it had to stop. That is a good sign as far as I am concerned, and it means I will be spinning it again real soon. 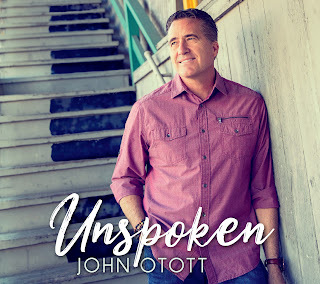 Unspoken is an excellent recording that creates a wall of sound that will grace your body, mind, and soul. The compositions are strong a quite diverse making this a very attention-getting listen. It will help you to relax, smile inside and then the weight of your world will just melt away. That is the perfect scenario for any hard-working man or woman at the end of the day, it is the Unspoken that says it all.